Sculpture in Stone (MFA), no. 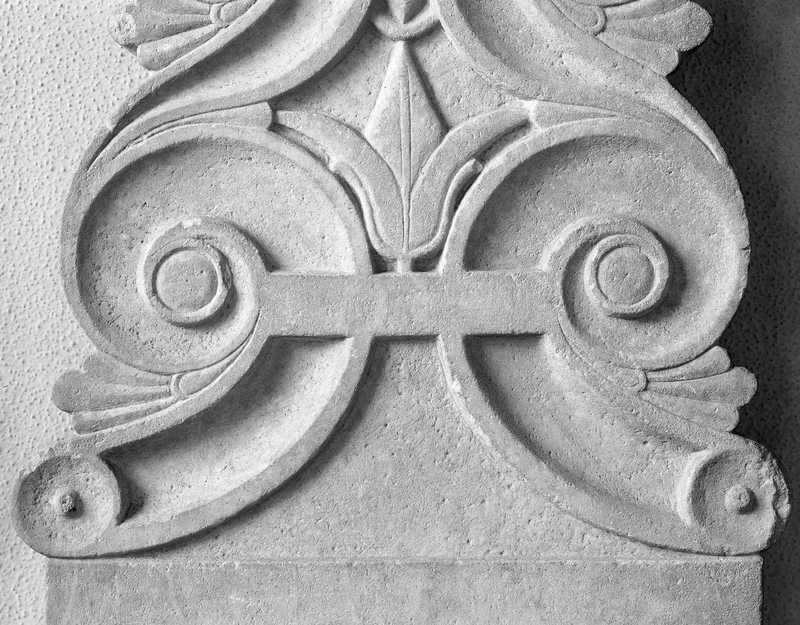 023; Sculpture in Stone and Bronze (MFA), p. 107 (additional published references). 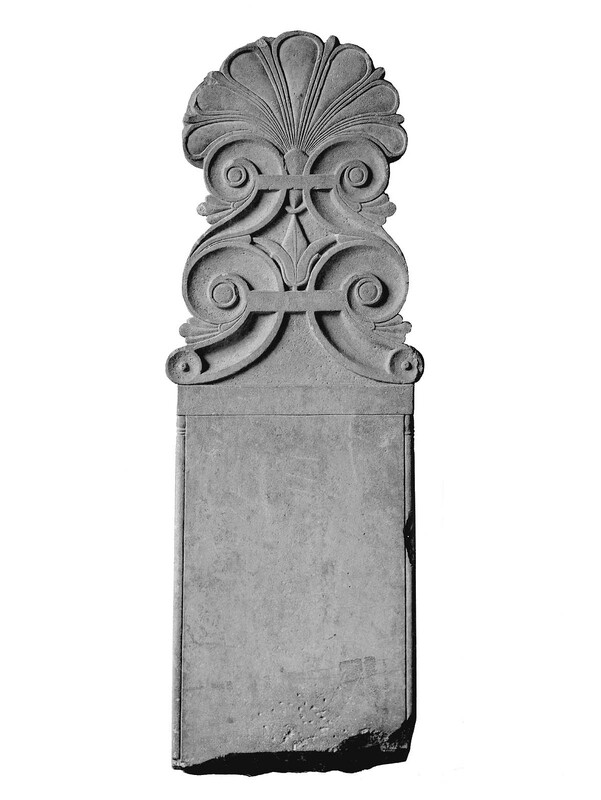 The upper part of a tall, relatively slender stele is surmounted by a richly carved anthemion. This consists of two symmetrical pairs of volutes, placed one above the other and topped by a palmette of seven large leaves with narrow, pointed leaves between. The shaft tapers slightly. It is framed in above by a flat band on which are traces of a painted egg-and-dart pattern and at the sides by narrow, round fillets with astragal moldings at their tops. The surface of the shaft is finely smoothed and may possibly have borne a painted figure, although no traces of paint remain. Both pairs of volutes are connected by horizontal crosspieces, and a stylized lotus flower fills the space in the center. The lower volutes terminate in discs with raised centers, and small palmettes fill the outer angles of both pairs. The lower part of the shaft has been broken away, and there are marks of a pick (?) near the break. Except for minor dents, the remaining section, including the akroterion, is in excellent condition, clean and white, with virtually no patina or discoloration. The shade is now the palest yellow. Harvard Lab No. HI361: Isotope ratios - delta13C +0.82 / delta18O -10.43, Attribution - Naxos.